Where to Buy Dacthal W-75, Dacthal W-75 Herbicide DCPA - 24 Lb - $514.95 for Sale with Fast Free Shipping! 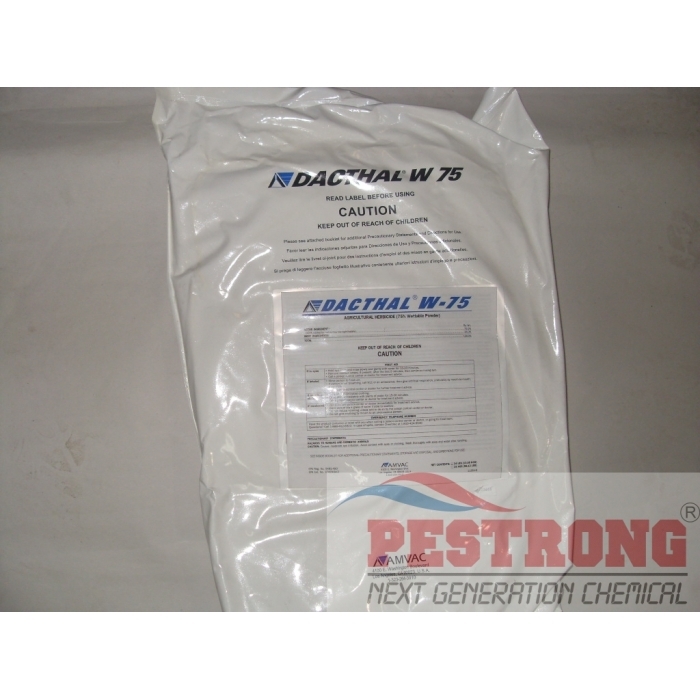 Dacthal W-75 Herbicide DCPA - 24 Lb for use in preemergence application for control of crabgrass and other annual grasses and certain broadleaved weeds on mineral soils in vegetables, strawberries, agronomic crops, and ornamentals. Use Rates: Mostly 6 to 14 pounds in 50 to 100 gallons of water per acre of area treated (2 to 5 oz per 2 gallons of water per 1,000 sq. ft.). After DACTHAL W-75 treatment, wait approximately 60 days before any new seeding is undertaken. DO NOT use on Dichondra. DO NOT feed treated foliage to livestock or graze treated areas. Very powerful herbicide. This is very good product! Great product, but hard to find at local store. I found here.